Greetings. 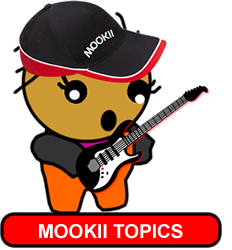 Welcome to the world of Media Objects Of Knowledge, Interest and Investigation (Mookii). Let's begin your creative journey with a fun 'ice breaker' activity. Let your imagination run wild! Create a Mookii character (avatar) which is unique. Show your creative flare and drawing skills. Add lots of unique features (accessories) to your mookii and 'wow' us. After you have watched the iLearn movie, take your memory for a test drive! The quiz below requires Flash Player to be enabled in your browser. Download and Save the Mookii Template to your computer. Click here. A well chosen name was given to the Mookii ending in a "ii"